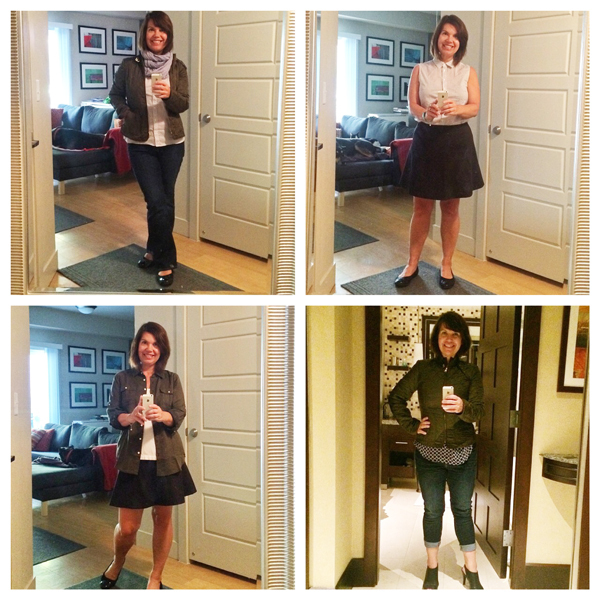 Simplifying my wardrobe created a dramatic snowball effect for simplifying the rest of my life, but the closet isn’t where my simplicity journey started. I began to simplify my life with my diet. I simplified what I ate and eliminated things like meat and most dairy from my meals. When that became the new normal, I turned to debt and clutter. Even though I didn’t have a name for it, I started to notice the benefits of minimalism years before I started dressing with less. In 2010, I started Project 333, and made the commitment to dress with 33 items of clothing for 3 months. I thought it would be an enormous challenge and sacrifice, but when I discovered that dressing with less actually made getting ready easier and made other parts of my life more enjoyable, I wanted to live with even more less. I found that when I simplified things like relationships, food, work, and exercise one at a time, I had better success than when I tried to do it all at once. I enjoy the process of focusing on one category of my life at a time and using the momentum I create for the next change. That learning process inspired the concept of A Simple Year, an annual commitment to exploring simplicity, one topic at a time. If you want to turn your attention to simplifying in a more engaged, consistent way, please join me and some of my friends for a Simple Year. Your project 333 is already making a difference! I got a little flustered when I couldn’t find my favorite sweaters after sorting. I still can’t find them, but guess what?? I got dressed anyway! And I shared your project with a friend on Google who is in the simplifying process. Thank you! Now … to see what else I can learn from you! Sure Maria! Please email asimpleyear @ gmail. com and I can help. After spending too much time saying “I don’t have enough time” I’ve committed to the first step toward streamlining by signing up for A Simple Year. Looking forward to the new year.